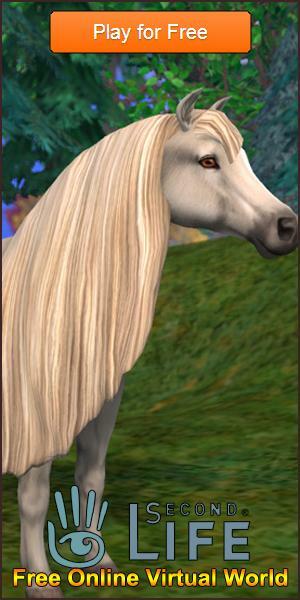 4 Virtual World Games that Shouldn't Have Been Shut Down Article - Virtual Worlds Land! Rate this Article They have skyrocketed to success in just a short time after they were launched. Yet, for varied reasons, the developers decided to just part ways with their community. They have skyrocketed to success in just a short time after they were launched. Yet, for varied reasons, the developers decided to just part ways with their community even though circumstances dictate that they do otherwise. Without further adieu, here are four virtual world games that should not have been shut down. Had they continued to remain, many people would have been able to experience the excellent stuff that they offered. Inspired by the iconic Barbie Girl line of toys and developed by Mattel itself, BarbieGirls is, without doubt a success story. The game’s launch triggered a frenzy of registrations. In just two months after its release, the game’s community swelled to 3 million members! This is but testament to the popularity of the Barbie Girl brand - registration grew at such a rate even though they had to purchase a $59.99 Barbie USB device through which they can access the website and experience its features. Sadly, in 2011, Mattel announced that they were discontinuing support for the BarbieGirl website as it sought to seek other ways of building brand awareness for the Barbie Girl brand. As its name suggests, friendship is at the center of this excellent virtual world simulator. Everyone is encouraged to talk to each other as they meet one another in the virtual world. With its very big community, the interactions are not monotonous. You could log in one day, meet as many people as you can and interact with them, but you won’t run out. You could still meet someone new the next day! With an expert team of moderators on board, chats and interactions are kept clean and free of bullying. People simply didn’t run out of things to do in MigoLand, as there are always new events and activities rolling out! You can play games to grow your purse, and use the earnings to purchase furniture as well as wardrobe for your character. Right now, the MigoLand website is claiming that the game is coming back soon but there is still no update. In a world of 3D MMOs, SpineWorld distinguishes itself with its cartoony graphics and child-like sprites. Despite its appearance, however, the game promises many things for its residents. One of its striking features was the inclusion of a Pet that doesn’t just drain away resources from you for nothing. This one acts as your partner in roaming through the game’s world - it helps raise your chance of landing rare finds that you can either sell for cash or display proudly in your very own apartment as a trophy. With a player base all around the world, SpineWorld is, in a way, a unique cultural experience that doesn’t require any trip abroad by you. The game was finally shut down in 2010 to be replaced, ironically, by MigoLand. With the original source material being a timeless classic, The Travels of Wiglington and Wenks joins BarbieGirls as one of the fastest-growing virtual worlds that was unfortunately shut down by their developers. The game was first launched in December 2009 and just like, Barbie Girls, experienced phenomenal growth. In just 4 months, it had 80,000 users that have valid registrations in the website! Part perhaps of the game’s allure is the chance to create virtual world that’s inspired by national cultures all around the world. Children cannot only play games, but also learn about a lot of things. With the story taking place in over 100 locations globally, the game is basically a virtual encyclopedia designed as a game!